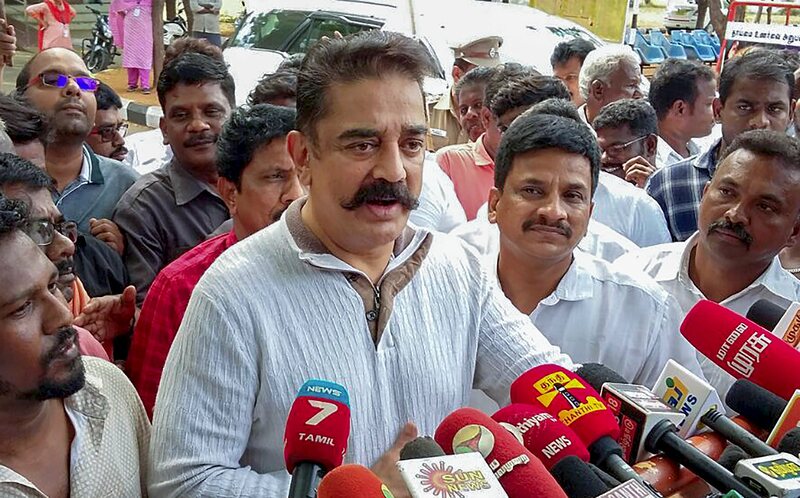 Chennai sources stated that Makkal Needhi Maiam (MNM) will contest the Lok Sabha elections next year and that it will have electoral alliance only with like-minded political parties, its leader and veteran actor Kamal Hassan has announced. Meanwhile he said the executive committee of the MNM has authorized him to decide on forging alliance. Reportedly Kamal has ended months of speculation over his electoral debut, and even before his party launches the anniversary celebration in February, the MNM is gearing up to contest the Lok Sabha elections. Furthermore the 64 year old Kamal had taken the political plunge by launching the MNM on Feb. 21 in Madurai. Mr. Hassan told reporters “He will definitely contest in the upcoming Lok Sabha elections,” Hassan replied when asked if he would contest. “After discussions, the party’s executive and administrative committees authorized him to take a decision on forging alliance with like-minded parties and a good alliance will fructify”. Moreover when asked to explain what he exactly meant by “like-minded parties” the MNM leader replied. Accordingly Kamal had recently said that he was not averse to forging electoral ties with the Congress provided it eased itself out of the DMK led alliance, which the national party has rejected.